The rex rabbit skins we use for our fur products come from Europe. The unique thing about the rex rabbit is that the underwool and the guard hair have the same hair-length. Compared to the regular rabbit, the hair is a bit shorter, and it has a very soft and fluffy touch. We can guarantee that these rex rabbit skins come from excellent and qualitative farmed. 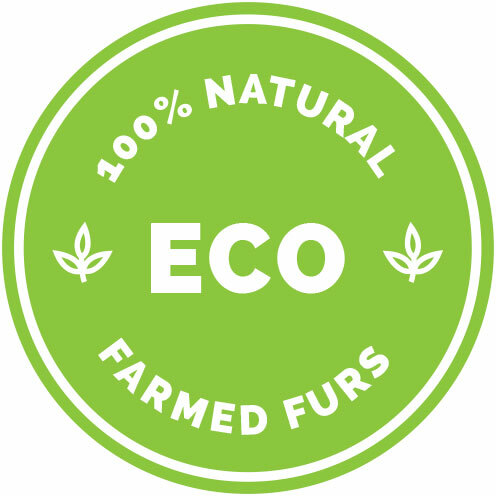 We regularly buy rabbit fur from companies that we know personally and can thus guarantee exclusively high-quality skins for our rex rabbit fur blankets and pillows. The fur is just a by-product which is produced during the meat manufacturing. We have very high demands on the quality of the skins which is why we only purchase the best skins possible. If you have any questions regarding our rex rabbit fur products, please do not hesitate to contact us. 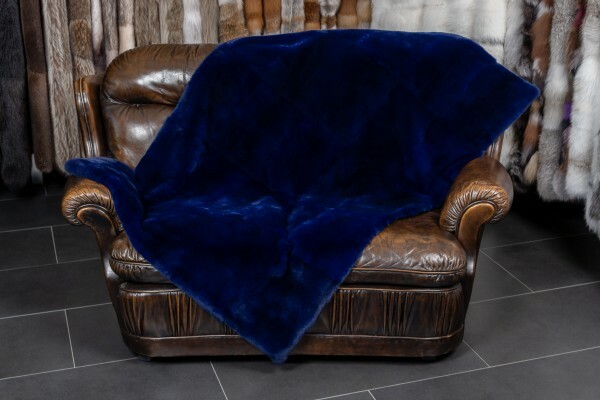 Related links to "Real Fur Throw Rex Rabbit in Midnight Blue"
Customer reviews for "Real Fur Throw Rex Rabbit in Midnight Blue"